I'm behind on posting my diary entries. So this one is technically about a week old. I thought about skipping it, but it was a big week for my sons so I felt I needed to get it on the Blog. Luke and Avery turned 15 on July 14th! I can't believe how time flies!! 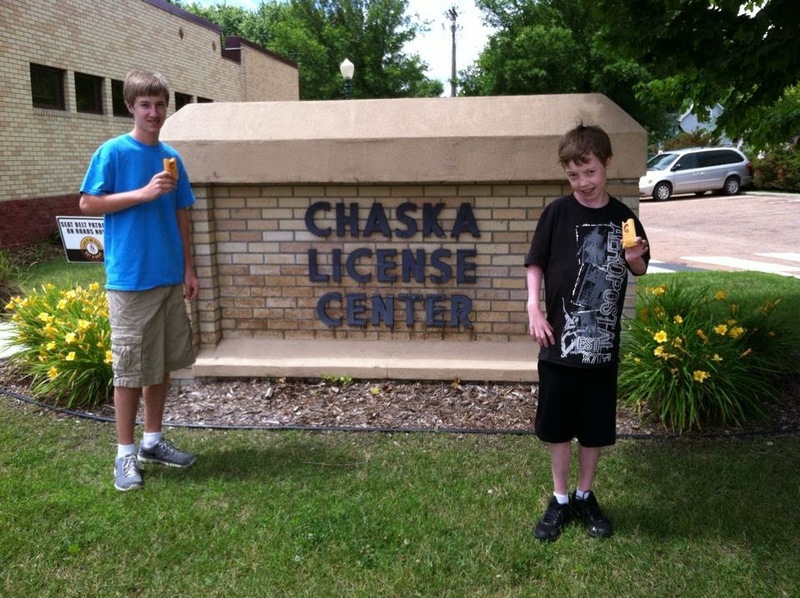 The only thing they wanted to do on their birthday was go get their driver's permits so they could start driving! Not that their mother or I were in this big of a rush for them to get them. A big shout out to the Prior Lake Police Department for doing their job. They responded to a call that a 10 year old boy was driving in town. It was Luke! Yes, he is 15 and has his drivers permit and yes he's not tall. To the "concerned citizen" who broke a driving violation to follow us home, sit outside our house, and call the police, all is ok. You'll probably see us on the road soon. The officers were great! I am very proud of Luke. I know if I was 15 and that happened to me I would probably never want to drive again. Good thing Luke doesn't think that way. He's thinking he's gonna look 20 when he's 40!! Good attitude Luke!!! The reason I wasn't with them for their birthday is because I was in Washington DC for the Microsoft Worldwide Partner Conference. 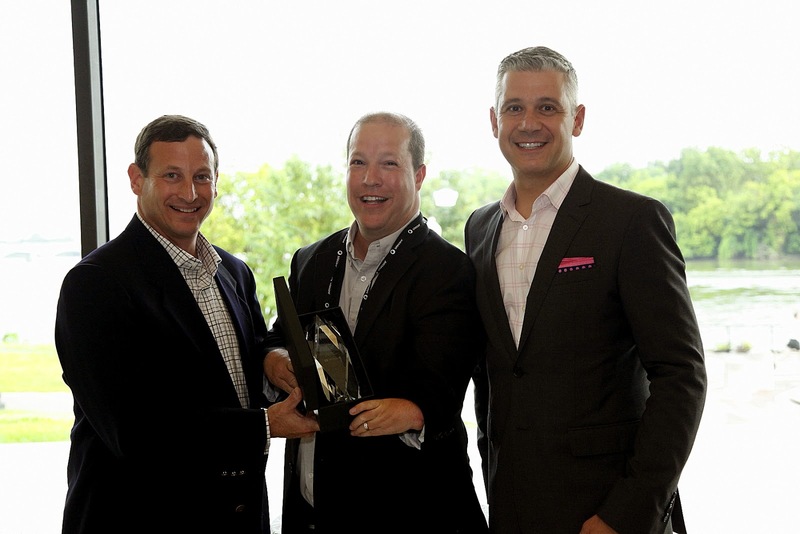 My company, Equus Computer Systems, won the award for Microsoft's OEM Named Partner of the Year and I was honored to accept the award on behalf of the company. It was pretty exciting! Please keep Luke in your thoughts and prayers today. He will be getting his heart cath at about 11am. We were impressed with the hospital's new hand washing machine. It was pretty soothing as it sprayed your hands with warm water and soap. Although I had an overwhelming desire to go to the bathroom after using it. I'm not sure why that was. We spent the morning with Luke getting him prepared for his procedure and then prepared ourselves to go into the cath lab. Obviously, they're pretty concerned with people not bringing germs in there. We've brought Luke in too many rooms like this throughout his life and it never gets any easier. these places are stressful! Luke was somewhat awake, although pretty drugged up while he was transferred from his room bed to the lab table. Then we got to give him kisses and encourage him while they administered the anesthesia. Then we went to the waiting room to wait to hear from the doctor. A few hours later we were pleased to see Luke and help him start to recover from the procedure. The doctor was pleased with how Luke's heart looks and how well his surgeries he received as a baby have held up. The doctors still have some things they want to check out with Luke so we will be going to a different doctor next month, but we're hoping we won't be making any more visits to any surgery rooms again any time soon. Like I wrote on Facebook later that night, I guess we are where we've been since our boys were born. Thankful for every day we have together on this earth. We will live each day to the fullest and do our best to bring happiness to the people we encounter in life. None of us know what tomorrow will bring, so we just have to make the best of today. The next night, Luke was feeling well enough for us to go on a boat ride. Along the shore we saw one of our old friends, an Albino Squirrel. Long time followers of my blog will remember that we've had albino squirrels appear in our lives pretty much ever since the boys were born. They have followed us to two different houses and we've seen them around us ever since they were born in 1999. Neither Sheri or I ever remembered seeing an albino squirrel in our entire lives before they were born, but they've always seemed to show up whenever one of our boys has had to deal with a surgery or other medical concern. We like to think of them as our Guardian Angels and it sure was nice to see this guy to make us feel better about things. Even if he did get attacked by a duck shortly after I took this picture.